● Boeing: Africa's demand for pilots & aircraft to soar in the next 20 years. With so many African countries now experiencing the proverbial "economic boom" with annual economic growth rates nearing double figures - among them Angola, Mozambique, Rwanda, Zimbabwe, South Africa and Nigeria - it stands to reason that the aviation industry should play a vital part in this African Rejuvenation of sorts. In an interview media briefing at the South Africa's National Airways Corporation’s 43 Air School’s Port Alfred campus, Boeing Commercial Airplanes international sales director Miguel Santos said Africa would need more than 800 new aircraft over the next 20 years and between 14 000 and 20 000 new trained pilots, whilst the demand for technicians/maintenance personnel for Africa and the Middle East is projected to be around 59,500. With the gradual embrace by the travelling public of Low Cost Carriers in countries like South Africa, Kenya, Angola, and Ghana, the expansion of larger carriers like Ethiopian, South African, Kenyan and Egyptian Airlines into other continents, and the dramatic inroads made into neglected markets like Zimbabwe and Somalia by global players like Emirates and Turkish, is this often neglected part of the world finally seeing the first buds of a economic renaissance? Or will the added attention to air travel only serve to neglect other traditional forms of transport, like rail and road transport, which could in turn have a negative impact? Only time can tell..
► KENYA: LCC Fly540 gets EMB-170 Jet; Kenya Airways to respond with "Jambo Jet"? Fly540 (5H), the Kenyan Low Cost Carrier based in Nairobi, is to receive an ex-Colombian operated Embraer EMB-170 Regional Jet, to complement the Bombardier CRJ-100ER that were recently acquired. The real question though, is how will larger rival Kenya Airways respond to the growing need for low budget flights in sub-Saharan Africa? "I would speculate that KQ might send their E170s to Jambo Jet because by now they are more keen on the larger E190 version (expected to join the Kenya Airways fleet in May) which is one of the most cost effective aircraft of its size and class." ► JORDAN: Royal Jordanian suspends Nairobi until Winter 2012; Tough times ahead. Royal Jordanian (RJ) has announced the temporary suspension of Amman - Nairobi from 1st May 2012 until 27 October 2012, where upon it will recommence 4x weekly flights using an Airbus A320. ► TUNISIA: Tunisair increases frequencies to Tripoli & Venice; Starts Moscow. In signs that the tourism industry in Tunisia is slowly recovering following the events of 2011's Arab Spring, Tunisair (TU) has announced increases in flights frequencies between Tunis and Venice (from 3 to 4 weekly flights) with the addition of an extra Monday morning flight. ► CAMEROON: Camair-Co starts Douala - Kinshasa, Douala - Lagos; Misses 1st Year targets. Camair-Co (QC), the "newly" founded (2006) flag carrier of Cameroon, has announced Douala - Kinshasa and Douala - Lagos with effect from 10th June 2012 and 12th June 2012, with 3x weekly frequencies, using their Boeing 737-700. "Camair’s initial objective was to handle 400,000 passengers during 2011 and expand its network to 13 destinations, an objective that fell short. Current destinations including its hub number 10 (Kinshasa and Lagos will bring the number to 12) while traffic was well below expectations. Although no full year data is available, the carrier flew 110,000 passengers over its first eight months of operations, with most traffic concentrated in the latter half as traffic accelerated following fleet expansion to three aircraft and increasing public confidence. Passenger and cargo revenue in the first eight months was reportedly XOF15 billion (USD32.2 million). Losses in the first year of operations were approximately XOF9 billion (USD18.1 million), although losses had been anticipated for the first three to four years of operations." ► GAMBIA: Gambia Bird to start Banjul - Conakry, Dakar, Lagos and Freetown. Gambia Bird, a soon-to-be Gambian startup based in Banjul, Gambia has announced intentions to start service between Banjul and Conakry(Guinea), Dakar(Senegal), Lagos(Nigeria) and Freetown(Sierra Leone) with effect from summer 2012. ■ ROUTES AFRICA 2012: Registration Now Open. Registration for Routes Africa 2012, the bringing together of airline route planners, airports and tourism authorities to discuss new and existing air services within Africa, to be held in Victoria, Seychelles this year from 8 July 2012 to 10 July 2012. The event will be hosted by the Seychelles Tourism Board in partnership with the Seychelles Civil Aviation Authority. On the agenda this year will be "Unlocking the market – Liberalization Vs. Competition", "Safety, Security & Standards" and "The Road to Recovery – Rebuilding & Looking to the Future". Latest reports state that Etihad, Emirates, Qatar Airways, Air Seychelles, Arik Air and South African Airlines have already registered, whilst airports scheduled to attend include those from Mozambique, Ghana and Tanzania, with Dallas Fort-Worth and Copenhagen also on the roster. This year will also see the likely participation of cruise companies according to Seychellois Minister for Tourism and Culture Alain St. Ange, for whom, Africa and in particular, the Indian Ocean, is a large market. This annual event is the only network development forum for the entire African region and, this year, will build on the successes of previous events. For More Info & To Register for Routes 2012, Click Here. ● Airfare vs Airfair - Nigeria & Zimbabwe voice concerns over unfair ticket pricing. It seems that two African governments have raised concerns over the huge disparity in ticket prices that foreign carriers charge in relation to their neighbours. Zimbabwe's Minister for Tourism, Walter Mzembi, bemoaned the high fares charged on the lucrative Harare - Johannesburg route which in some cases are as high as USD$600 for a return flight. "The prices of flights which are deemed to be too high are affecting Zimbabwe’s destination accessibility and connectivity and has become a cause for concern for tourists and the government at large. Cde Mzembi said his ministry is concerned with the fares of up to $600 or more that are being charged for people to fly between Harare and Johannesburg. He said such prices do not promote tourism considering that the same amount flies a tourist between Johannesburg and New York on a budget flight." Though unhappy about the current status quo, Zimbabwe has not gone as far as Nigeria, who have threatened to withdraw the operating licences of British Airways and Virgin Atlantic, claiming that the fares they charged for Nigeria - UK flights were not proportional to those in other West African countries. According to the country's aviation authorities, the difference between fares Nigerians pay on the Lagos-London-Lagos route and what Ghanaians pay on the Accra-London-Accra route is US$4,239 for first class, US$1,055 on business class and US$920 on premium economy. On 26th March 2012, Nigeria's Aviation Minister, Stella Oduah, issued a 30 day warning to all "international airlines operating in Nigeria which failed to dismantle the fare imbalance and other sharp practices within the next 30 days would be banned from operating in the country." “We are seriously concerned and worried by the reluctance to restore parity within the region by the foreign airlines. They have been using all kinds of delay tactics; this is unacceptable and will no longer be tolerated. ''Nigerian passengers do not deserve this kind of exploitation and we are willing and ready to stand up to their rights,” she said. It should be noted that this impasse comes after a row between British Airways and Nigeria's Arik Air over the denial of landing slots to the latter at London's Heathrow airport, and after Nigeria's Government fined British Airways and Virgin Atlantic US$235 million in 2011 for alleged price-fixing on the Nigeria-UK route; a fine that was later overturned on appeal. ► ETHIOPIA: Ethiopian Airlines prepares for the arrival of its maiden 787. Ethiopian Airlines (ET) has been busying itself getting ready for the arrival of the first of its 10 Boeing 787, to be delivered sometime in summer of 2012, though exact dates have yet to be announced. While in Seattle to meet with Boeing executives to discuss delivery of the airline’s first 787 Dreamliners, the CEO of Ethiopian Airlines, Mr. Tewolde Gebremariam took a special tour of the Ethiopian first 787 to be delivered later this year. Mr. Tewolde met with Jim Albaugh, president and CEO of Commercial Airplanes; as well as Larry Loftis, 787 vice president and general manager; and other program leaders to discuss the airline’s first delivery and to receive an update on the 787 program and production. “With our first delivery fast approaching, it was important for me to be in Seattle to meet with the leadership team there to make sure we are on track for our delivery and see how our first airplane is progressing,” said Mr. Tewolde Gebremariam. Crew training has also been completed, with 8 pilots successfully completing their training at London's Gatwick Airport. “This is an important milestone in the history of Ethiopian Airlines,” said Captain Desta Zeru, Senior Vice President of Flight Operations for Ethiopian Airlines. “Our pilots are now qualified as the first African pilots to fly the 787. "We are proud to support Ethiopian Airlines as they grow their business with the 787 Dreamliner," said Roei Ganzarski, chief customer officer, Boeing Flight Services. "World class training for a world class airplane is part of the Boeing Edge we work hard to provide to our customers." The launch destination for Ethiopian's Dreamliner will be Johannesburg, following which it will be deployed on the Addis Ababa - Harare, Addis Ababa - Lusaka, Addis Ababa - Dubai and Addis Ababa - Guangzhou routes. ► ZAMBIA: Proflight Zambia to start Harare & Lubumbashi from June 2012. Proflight Zambia (P0), until recently, an exclusively domestic Zambian carrier, has announced plans to start Lusaka - Harare and Lusaka - Lubumbashi "sometime in June", in its first foray into the regional market that has since been left vacant by the demise of Air Zimbabwe and Zambezi Airlines, though the absolute confirmation is still dependent on completion of bureaucratic formalities. ► TANZANIA: Air Tanzania considers B737-500 and DHC-8-400 for fleet expansion. Air Tanzania (TC), the Tanzanian national carrier, has reportedly shown interest in acquiring a Boeing 737-500 and several DHC-8-400s in what is seen as a likely first step into regional markets. ► NIGERIA: Air Nigeria to start London from May 16, Johannesburg from May 17; Rome & Paris to follow. Air Nigeria (VK) has announced it will commence flights from Lagos Murtala Muhammad International to London Gatwick with effect from May 16 2012, whilst Johannesburg commences on May 17. The flights will initially be operated with an A330-200 on a 3x weekly basis, with Lagos-Gatwick increasing to daily from June 2012. This comes 3 years after Air Nigeria's predecessor, Virgin Nigeria, ceased Lagos-London and Lagos-Johannesburg.
" At the inauguration of the international flight operations on May 16 and 17, Air Nigeria will operate three flights weekly to both London and Johannesburg, and by June 16, 2012, increase the frequency on the Lagos-London Gatwick route to daily flights. The long-haul services will be operated with the recently acquired modern Airbus A330-200 aircraft in two class configuration of 24 Business seats and 244 Economy class seats. The aircraft is equipped with state-of-the-art iPADS for in-flight entertainment in the business class cabin, making Air Nigeria one of the first African airline to offer such a product to passengers. Tickets have gone on sale across all the sales channels such as the Internet online portal – www.myairnigeria.com, by telephone, as well as at multiple ticket offices across Nigeria, and at travel agents. " Thereafter, it is understood that Rome and Paris are the next destinations to be added to the international network, thus giving direct competition to Alitalia and Air France. "Air Nigeria’s other planned European routes, Rome and Paris, also have existing capacity. Lagos-Rome Fiumicino is currently operated by Alitalia, which offers three times weekly service using A330-200 equipment while Lagos-Paris Charles de Gaulle is currently operated daily by Air France using 777-300ER equipment." ► SEYCHELLES: Air Seychelles - first A320/A330 flights in May. Air Seychelles (HM) will operate its first flights using the A320 & A330 in May according to blog sources. This comes after Etihad acquired a 40% stake in the Indian Ocean Island airline back in February, whereby one of the key points laid out for immediate attention, was the issue of fleet renewal, and a return to profitability for the ailing airline. ► SOUTH AFRICA: SAA renews Boeing leases; mulls future 777 and 787. South African Airways (SA) has renewed leases for some of their B738 fleet for between 5 and 10 years, whilst considering both the 777 and 787 for future fleet renewal, for which SAA has requested nearly USD $750 million from the South African government. ► LIBYA: Afriqiyah orders 3 new A330-300s. Afriqiyah (8U) has placed an order for 3 new A330-300s for delivery from April 2013 onwards, according to aviation site FlightGlobal. ► BOTSWANA: Air Botswana starts Maun – Cape Town from June 2012. Air Botswana (BP) is to start Maun - Cape Town direct with effect from 1st June 2012, using their Bae146-300. Chris Nkwe, the Public Relations Officer of the Civil Aviation Authority of Botswana, says the opening of the routes marks a milestone in the growth of the industry in the country, “which is good for the economy of the country”. “This is a perfect indication that the industry is growing in the country and it is a welcome thing that we appreciate,” he said. ► TANZANIA: Precision Air adds Lilongwe and Lubumbashi from May 2012; Harare and Lusaka from July 2012. Tanzania's Precision Air (PW) will with effect from May 2012 expand its route network to include 4 new sub-Saharan destinations - Harare, Lusaka, Lilongwe and Lubumbashi using its B733. UPDATE: Dar es Salaam - Lubumbashi - Lusaka will commence on 18 May 2012, whilst Dar es Salaam -Lilongwe - Harare will commence on 3 July 2012. 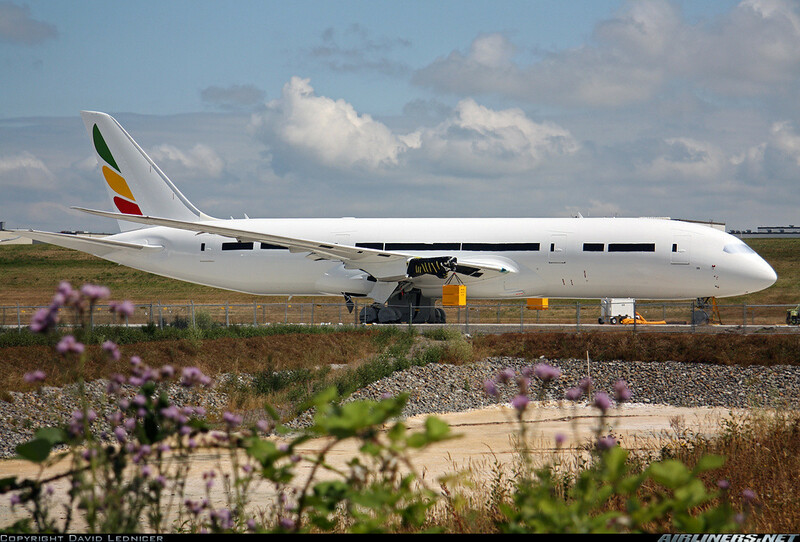 ► CONGO (BRAZZAVILLE): New airline Equatorial Congo Airlines' B757 leaves the paint shop. Equatorial Congo Airlines (LC) has a new B752 bird sporting their exotic green based livery, though don't count on seeing it anywhere in Europe anytime soon, as they are unfortunately on the EU's Banned Carriers List. At present, the only route flown is intra-national - between Brazzaville and Pointe-Noire - so hopefully the arrival of this new equipment brings hope for better things to come. ► ZIMBABWE: Air Zimbabwe provides ZITF flights. Despite news reports that Air Zimbabwe had effectively been grounded, the airline today issued a statement that it would be providing flights between Harare and Bulawayo for the Zimbabwe International Trade Fair. Given UM's poor track record with respect to late cancellations, delayed departures and general sloppy customer care, i would honestly be surprised if anyone actually took up this offer. "Air Zimbabwe says it will provide flights between Harare and Bulawayo to facilitate travel during the Zimbabwe International Trade Fair (ZITF) this week. The national airliner said on Wednesday a plane will depart Harare at 0700 and arrive in Bulawayo at 0745. In the evening it will depart Bulawayo at 1800 and arrive in Harare at 1845." Read More Here [ZBC News].